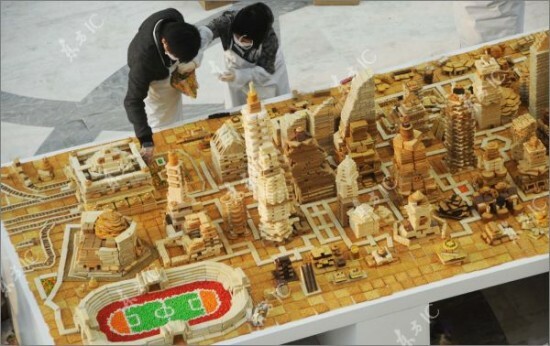 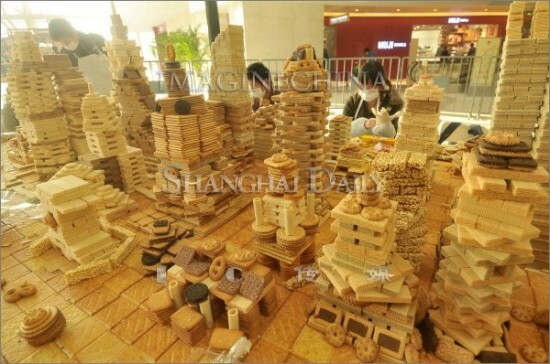 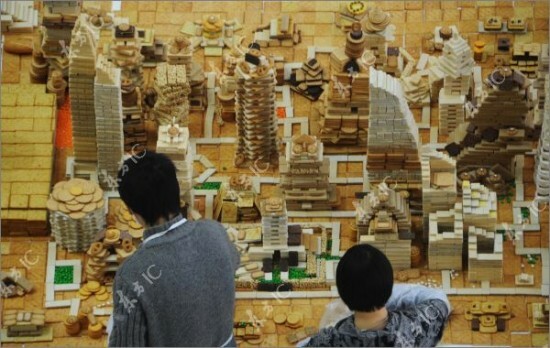 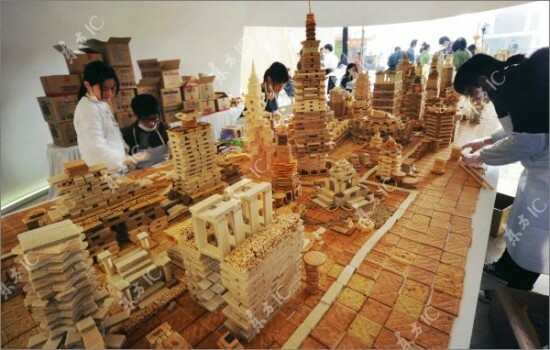 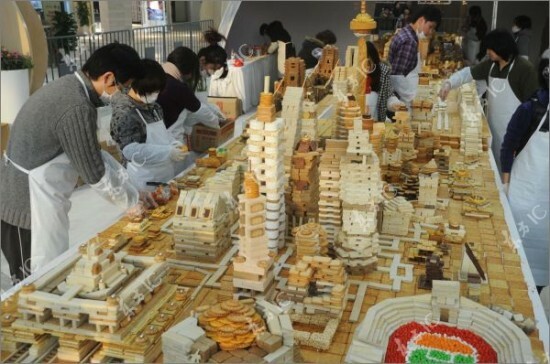 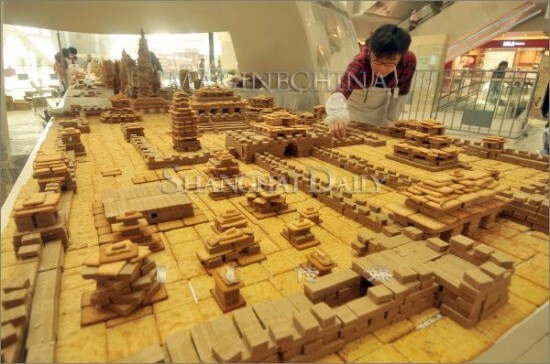 Song Dong, one of China’s leading contemporary artist has almost completed a miniature replica of Shanghai City, made out of various sweets. 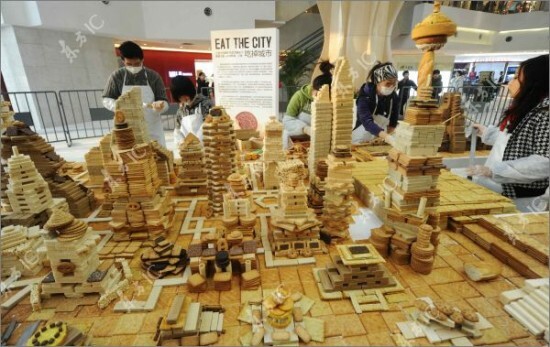 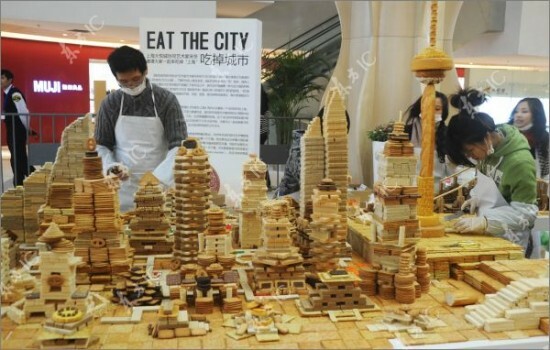 Song apparently has a thing for recreating major cities out of food, as this is the seventh project in his “Eating the City” series, which includes sweet replicas of Barcelona or London. 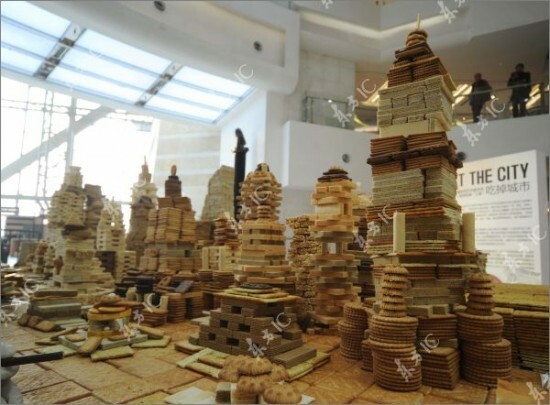 Working with a team of talented food artists, he uses wafers, biscuits, cookies and candy to create edible replicas of Shanghai’s major landmarks. 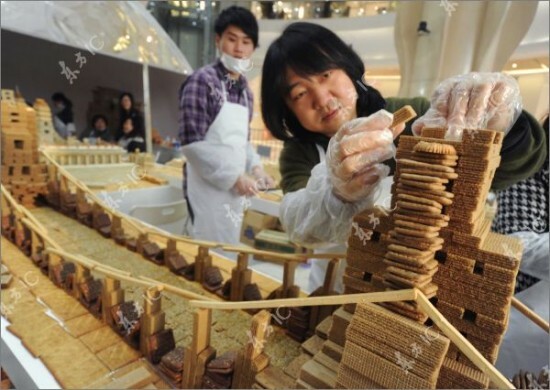 On Christmas Eve, Song Dong will show his masterpiece to the world, and invite the people to take a bite out of Shanghai, literally. 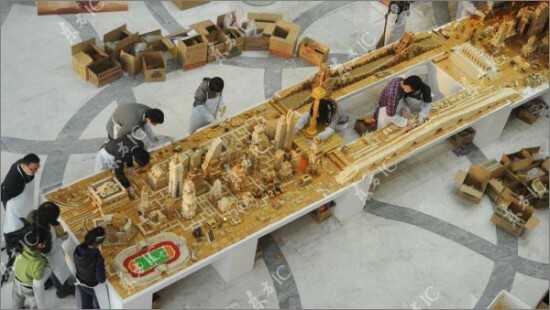 Take a look at the photos below to see how the project is coming along.